Ideal for individuals or small business brochure websites, our Joomla Basic package covers everything you need to get started with your website. Whether you provide new content to us, or require porting content from an existing website our migration team configures the initial setup of all your content. You won’t need us to make changes after launch, you maintain full control over your content. All of our packages include providing you with a responsive, branded design for your Joomla system. After consultation with you, we provide a series of design options from which to choose. All of these designs are fully responsive so you need not worry about how your website will look, no matter what device your visitors access with! Brochureware websites often use blogging as the tool of choice for regularly updating their website content. Our Basic Joomla package includes a pre-configured blog area with commenting, tagging, tag cloud, and social integration. 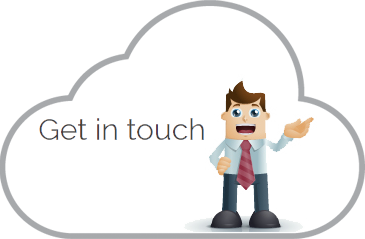 Joomla Basic comes with a standard contact form where visitors can contact you leaving their name, email and a message. This form is protected from spam enquiries with a CAPTCHA code. Your visitors can also elect to send a copy of the message to themselves. 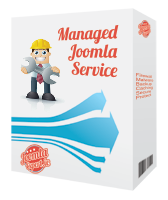 Partner with us by adding our Managed Joomla Service and we will perform all upgrades, security patches, and maintenance release updates on your Joomla system. Keep your Joomla system super fast - we optimise your database, clear temporary files and clean caches on a regular basis. Be safe and secure - our monitored firewall service tracks all attempts to attack your system and allows us to configure a secure response. JoomlaExpert is a trading brand of Sharkey Ecommerce Consulting Ltd.
Joomla Expert and this site is not affiliated with or endorsed by The Joomla! Project™. Any products and services provided through this site are not supported or warrantied by The Joomla! Project or Open Source Matters, Inc. Use of the Joomla!® name, symbol, logo and related trademarks is permitted under a limited license granted by Open Source Matters, Inc.